What is the Samsung Galaxy S9 Plus? 2018 has felt like a transitional year for Samsung. It’s tweaked its flagships and released devices like the Samsung Galaxy Note 9, Samsung Galaxy S9 and the Samsung Galaxy A7 (2018), yet none of them have felt like big releases. It seems almost certain we’ll get something much bigger when the Galaxy S10 no doubt launches in the early months of 2019. Don’t instantly discount the Galaxy S9 though, especially now it’s cheaper than it was when it was first launched. This is a lovely looking phone with a good camera and plenty of added extras. Samsung’s radical transformation of its ‘S’ series last year was the start of a new trend in phone design. 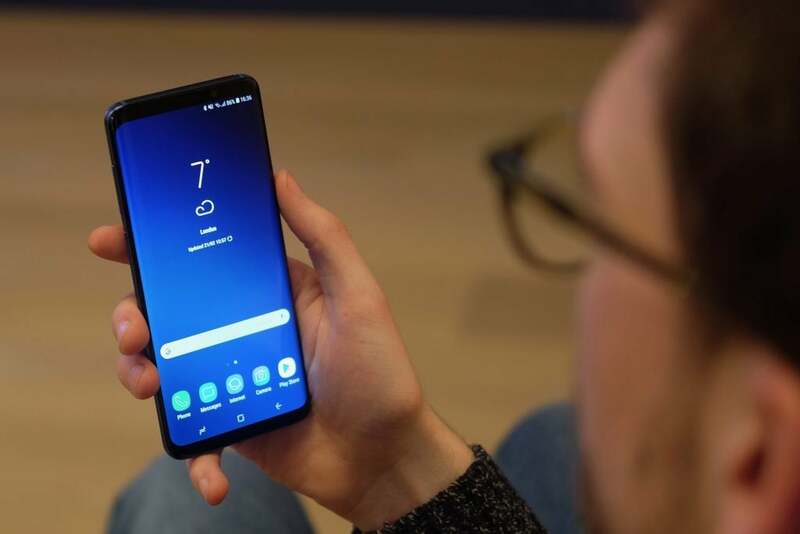 While there had been attempts to rid phones of a thick bezel before, none felt quite as natural and well-thought-out as Samsung implementation. For example, the LG G6 felt unfinished with its poorly circled screen edges, and Xiaomi’s Mi Mix 2 sacrificed functionality by forcing you to flip the phone around to take a selfie. However, Samsung’s switch to a bigger screen in a smaller body actually worked. So much so, that even though everyone else in 2018 appears to be idiotically copying the iPhone X’s notch – including Google with the Pixel 3 and Huawei with the Mate 20 Pro, Samsung has stuck with virtually the same design it debuted in 2017. There are a few changes, though. The bezel at either end of the display is now marginally thinner, the aluminium is tougher, and the Gorilla Glass 5 coating the display is ever so slightly thicker. This last point is key for me – my S8 suffered a smashed screen simply from being knocked off my sofa onto a carpeted floor. The S9 Plus is also heavier and thicker than the previous device – although I challenge anyone to notice this unless they have a ruler and scales handy. e2save has come out with this brilliantly affordable contract for the Galaxy S9, made even better with a £10 discount when using the code EPICTEN at checkout. 45GB of data (usually 15GB) and no upfront cost for only £38.83pm? As far as high-data contracts go, this one’s a steal. Arguably, the biggest design rethink is the positioning of the fingerprint scanner. Instead of being positioned almost on top of the camera sensor, it now sits below it – and as a result it’s much easier to hit. Saying that, this remains a pretty poor fingerprint sensor, which takes a noticeable moment to register my digit and take me to the homescreen. It’s also very small, meaning you’ll often hit and miss for a few days until you get used to it. The Galaxy S9 Plus still looks and feels great in spite of the recycled design. I remain a fan of the curved edges of the display that melt away into the aluminium rim, with the glass back equally curved to help it fit in your hand. It’s a big phone – I’d opt for the regular S9 if you want something more pocketable – but it doesn’t feel as big as it should when you’re holding it because of the excellent design. The back has a clean look, with a single Samsung logo accompanied by the new dual-camera system and a heart-rate sensor. My black unit is an absolute smudge magnet, far more than the black iPhone X or iPhone XS, picking up grime and oily residue more than most. While I believe the benefits of a glass back outweigh the negatives, it’s still a pain. You’ll find a dedicated Bixby button below the volume rocker, with the lock-switch on the other side. I dislike the fact that the extra button can only be used with a virtual assistant – I turned it off completely after a day of use – but Bixby remains a huge push for Samsung and I was naive to think it wouldn’t return in the Galaxy S9 Plus. Samsung’s phones have always been packed with features, and the Galaxy S9 Plus continues in this vein. You’ve got a water-resistant body (IP68), a haptic-feedback home button, microSD slot, QI and PMA wireless charging – and a headphone jack. Yes, the trusty 3.5mm port stays, and you can even get the S9 Plus with a hybrid dual-SIM slot if you buy direct from Samsung. You can save £25 a month when signing up for Voom Fibre 3 Business Broadband with a superb Samsung Galaxy S9+ and generous 32GB of data. Having seen a few poor OLED displays in devices like the Google Pixel 2, it’s great to see Samsung continue to live up to expectations. The 6.2-inch 18.5:9 AMOLED panel packs the same quad-HD+ 2560 x 1440 resolution as before, but it’s now brighter and even more stunning. Samsung’s OLEDs are the best, and this particular panel really shines in the customisations. The default Adaptive mode is great, but since switching to the full DCI-P3 colour-gamut-toting AMOLED Cinema option, I’ve enjoyed it even more. 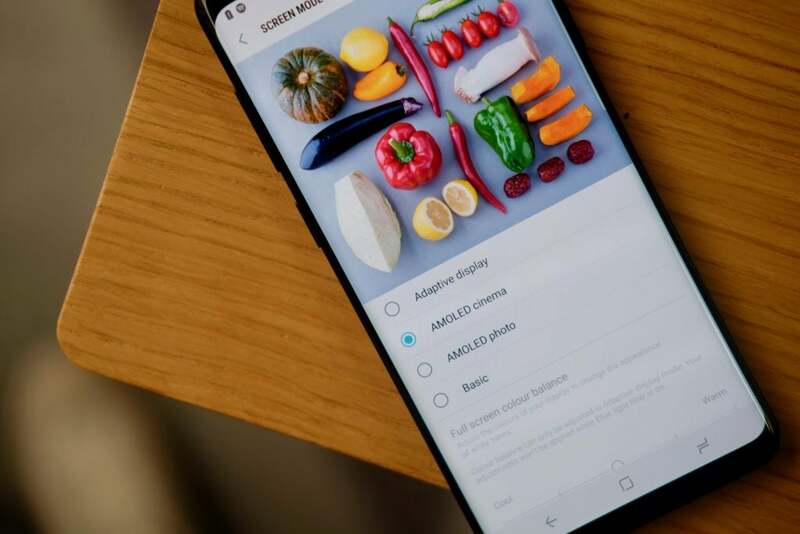 I’d say this mode gives the Samsung device a look that’s more like the iPhone XS and iPhone XS Max – dialling back a little with the blue hues and giving a warmer overall feel. I’ve found it much kinder on my eyes, too. There’s also a Photo mode that covers the Adobe RGB gamut, and a Basic mode that covers the sRGB scale. The burst of colour and vibrancy on this screen is sublime, but can at times appear a little oversaturated – but it’s nothing that can’t be fixed with a bit of tinkering in the settings. Viewing angles are fine, and outdoor visibility is great, although the shift to blue that’s common on OLEDs can be seen here. 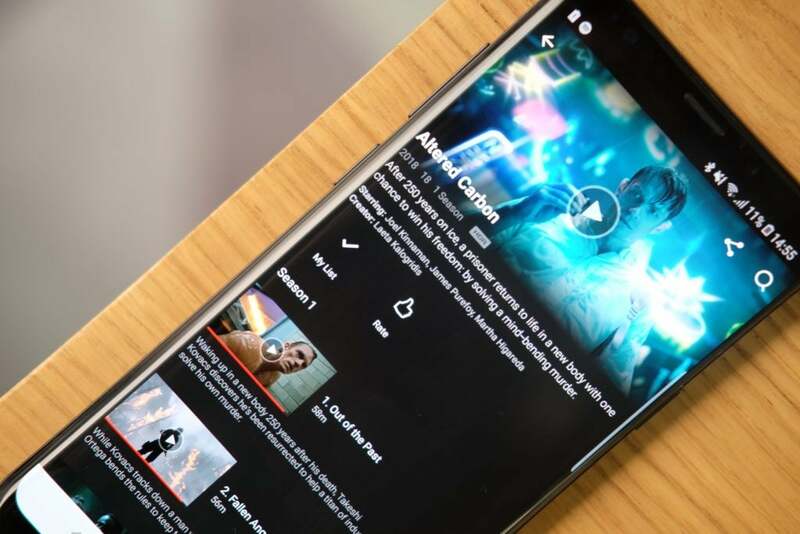 There’s full support for HDR content from Prime Video and Netflix, plus a brightness-boosting mode for giving SDR content extra gloss. I’ve kept this off, though, since it almost makes regular YouTube videos look too bright plus it chomps through the battery. 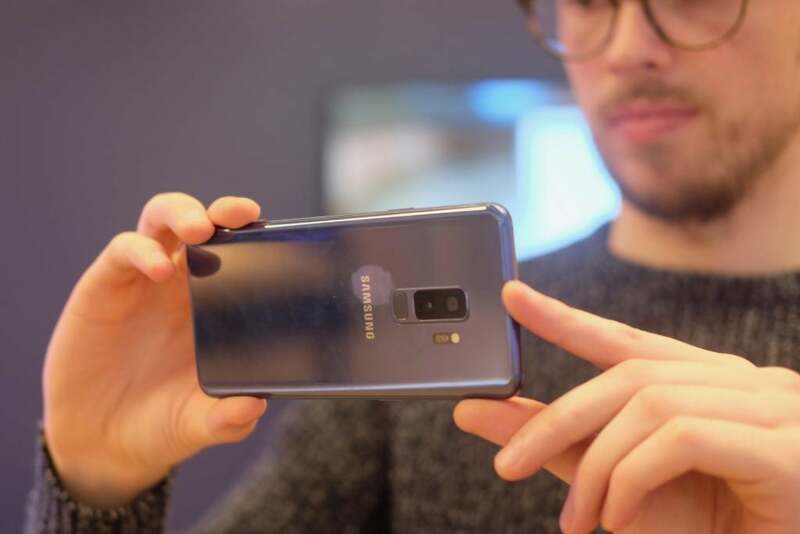 The post Samsung Galaxy S9 Plus appeared first on Trusted Reviews.